Women in hip-hop are rarely respected on the same level as men. We know this, and it&apos;s one of the least appealing aspects of the genre as a whole. Rather than harp on it, let&apos;s look back in history and celebrate the lyrical skills, perfected production, and legendary performances of rap songs by women: From Queen Latifah&apos;s entire album All Hail The Queen to recent queens like Nicki Minaj who have sold millions of records with her lyrical skills. For all the classic tracks that empower and promote women in hip-hop, there have been just as many (or more) that include the raunchiest lyrics ever. From Lil Kim to Foxy Brown, even Missy Elliott, female rappers are every bit as versatile as their male counterparts. We&apos;re not calling it "female rap," (nor would we refer to every rap song by a man as "male rap"). 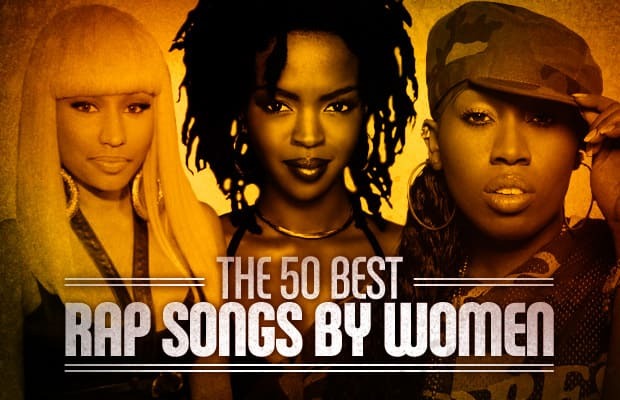 So let&apos;s just call these the 50 Best Rap Songs by Women.